The convention season is very close to picking up once again after the holidays are now in the rear view and lots of announcements for upcoming shows have been made within the last week. The infamous Jason Goes To Hell contained a number of veteran actors who were part of some of the most well known cult Sci-Fi and Horror genre films of the past few decades. Such is the case with the newest addition to HorrorHound Weekend as the hilarious diner owner from Jason Goes To Hell, Joey B. will make an appearance. 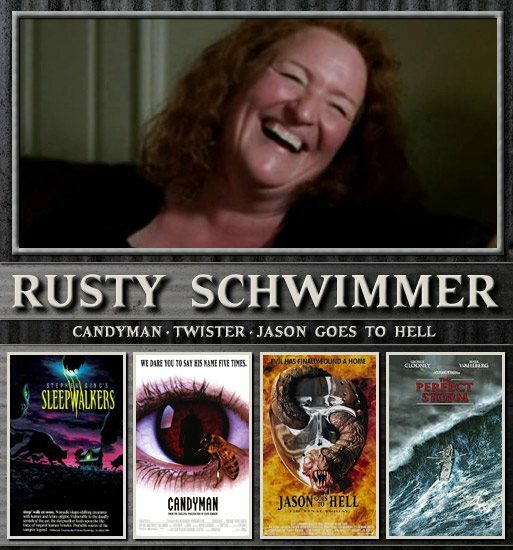 Rusty Schwimmer will attending the show, which takes place March 22-24, 2013 in Cincinnati, Ohio. 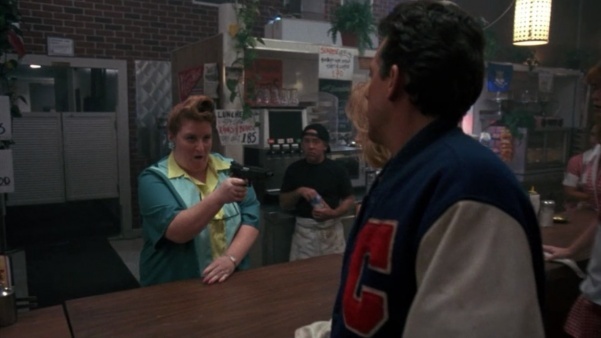 Her role had an interesting journey as Joey B. was originally conceived as a male character, but Rusty gave off such a great domineering presence that it was decided she would become the diner owner instead! If you plan on attending the show, make sure to say hello and ask her about the crazy set of the film. For more information on t he event, visit www.horrorhoundweekend.com.